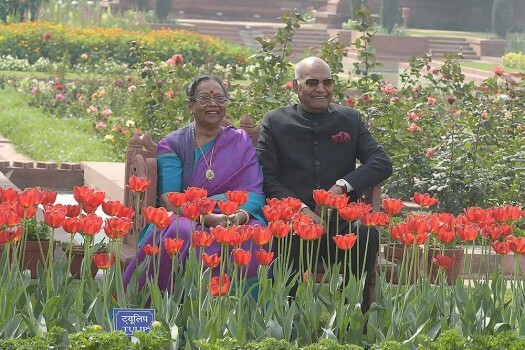 President Ram Nath Kovind and First Lady Savita Kovind sit near a bed of tulips during a preview of the Mughal Gardens at Rashtrapati Bhavan in New Delhi. 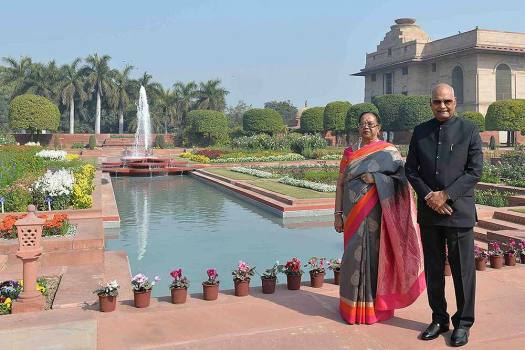 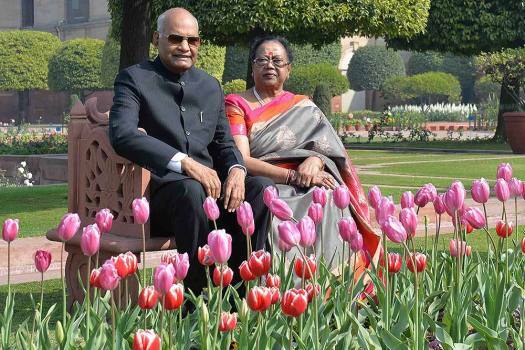 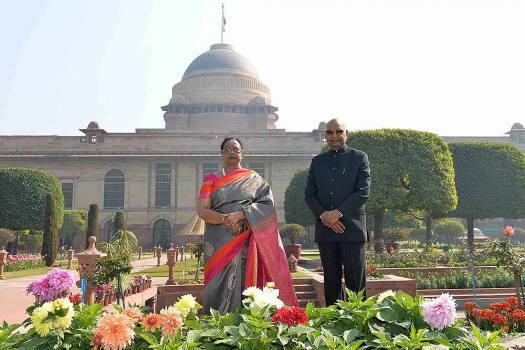 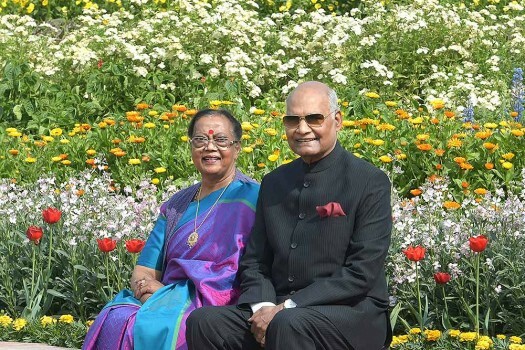 President Ram Nath Kovind and First Lady Savita Kovind pose for a photograph during a preview of the Mughal Gardens at Rashtrapati Bhavan in New Delhi. 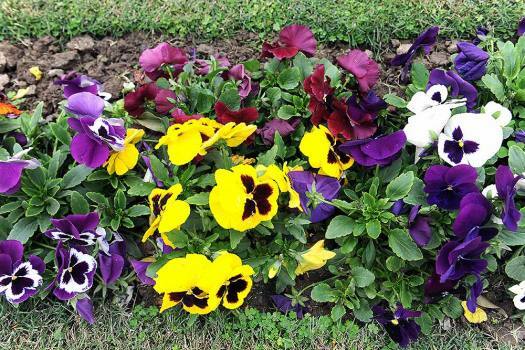 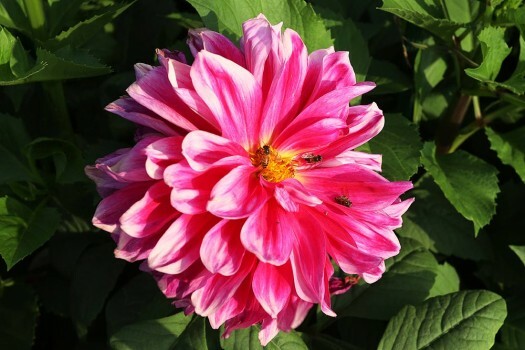 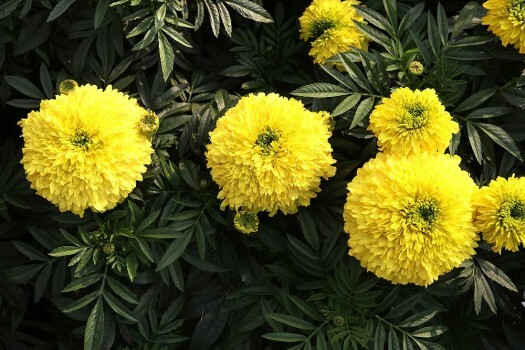 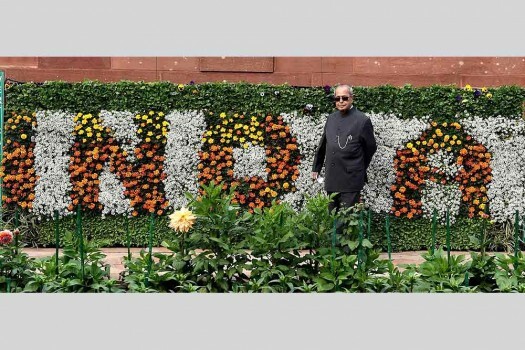 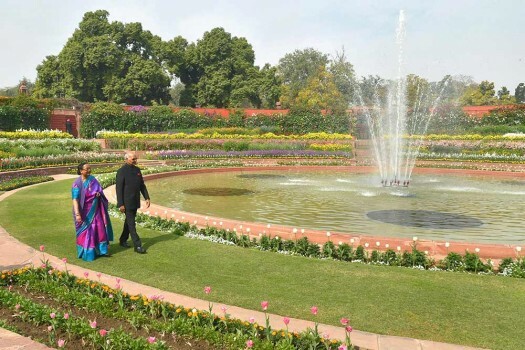 Delhi's Mughal Garden at Rashtrapati Bhawan to open for public from February 6. 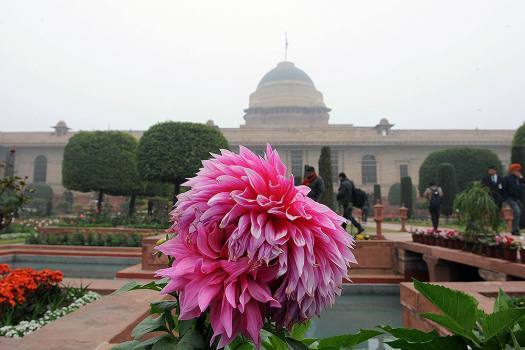 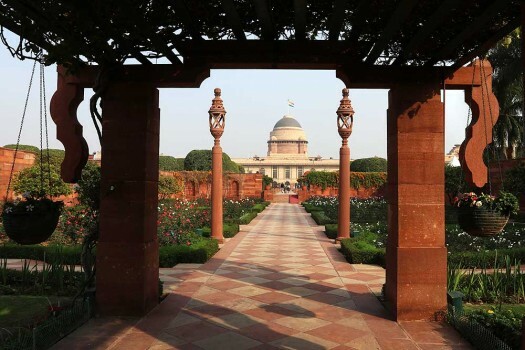 A view of the Mughal Gardens at Rashtrapati Bhavan during its press preview in New Delhi. 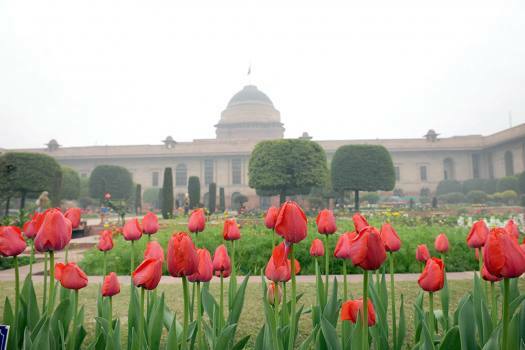 Tulips blooming at Mughal Garden during a press preview at Rashtrapati Bhavan, New Delhi. 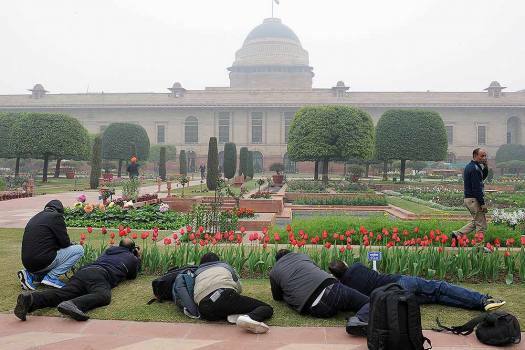 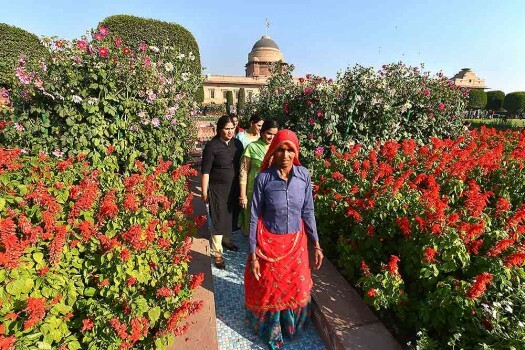 Visitors walk between the beds of flowers at the Mughal Gardens of Rashtrapati Bhavan in New Delhi. 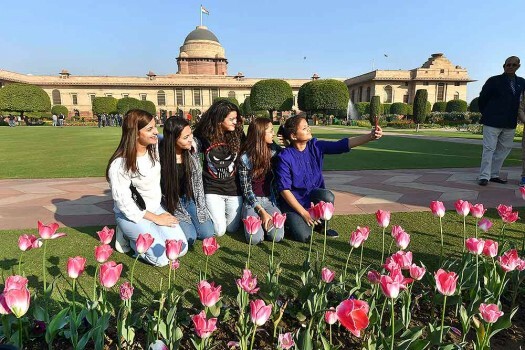 Visitors take a selfie in front of a bed of pink Tulips during the press preview of Mughal Gardens at Rashtrapati Bhavan in New Delhi. 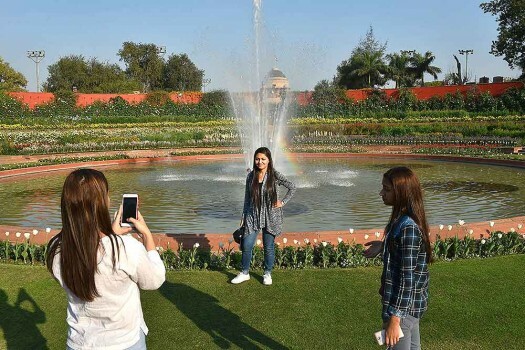 A visitor poses for a picture in front of a fountain during the press preview of Mughal Gardens at Rashtrapati Bhavan in New Delhi. 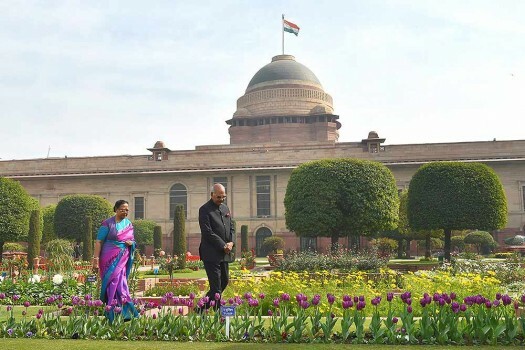 President Ram Nath Kovind and First Lady Savita Kovind stroll at the Mughal Gardens at Rashtrapati Bhavan in New Delhi, a day before the opening of the gardens for the public view. 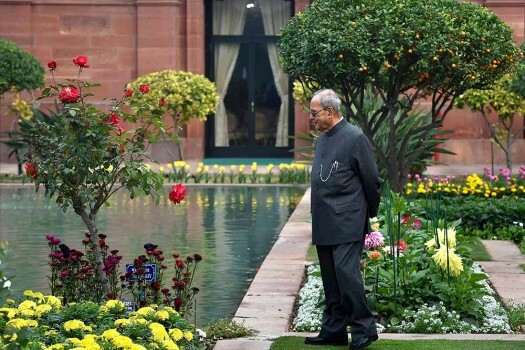 President Pranab Mukherjee walks in the Mughal Gardens at Rashtrapati Bhavan in New Delhi, a day before the opening of the gardens for the public view. 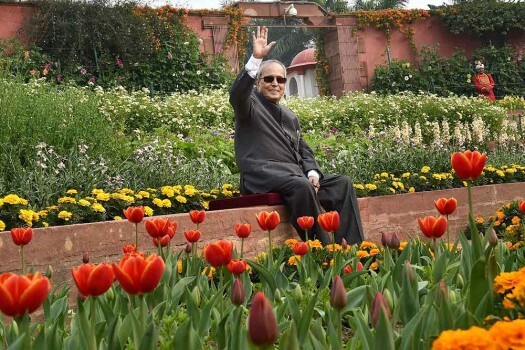 President Pranab Mukherjee sits near tulips at the Mughal Gardens during a press preview, in New Delhi.